Recent literature on forgiveness suggests that a successful account of the phenomenon must satisfy at least three conditions: it must be able to explain how forgiveness can be articulate, uncompromising, and elective. These three conditions are not logically inconsistent, but the history of reflection on the ethics of forgiveness nonetheless suggests that they are in tension. Accounts that emphasize articulateness and uncompromisingness tend to suggest an excessively deflationary understanding of electiveness, underestimating the degree to which forgiveness is a gift. Accounts that emphasize electiveness, on the other hand, tend to weaken the safeguards that keep forgiveness distinct from condonation, excuse, or mere servility. 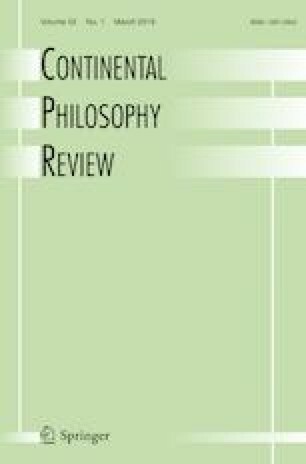 I argue in this paper that we can do justice to the three conditions by understanding forgiveness in terms of the concept of institution that Maurice Merleau-Ponty developed in his work from the early- to mid-1950s.